VERACRUZ FEST - 5 DAYS AND 4 NIGHTS - Tours y Tickets Operador Turístico en Veracruz, México. Day 01 Thursday - Transfer In and Check in. At your arrival you’ll forget all your problems so, only focus on Veracruz and forget about the burdens, we will pick you up at the airport and we will transfer you until your Hotel in a comfortable van. On this day you will have a free time in the afternoon to know Veracruz by your own. 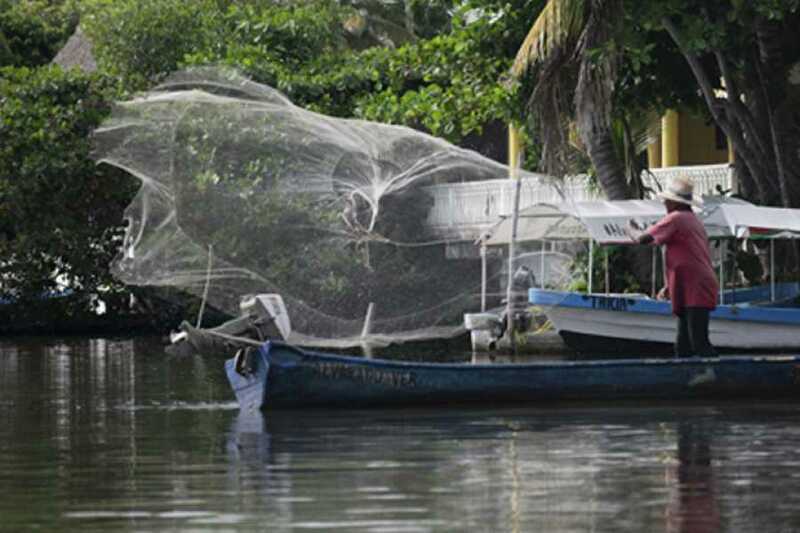 One night lodging in a Hotel of Veracruz-Boca del Rio. Day 02 Friday - Catemaco y Los Tuxtlas Tour (FIRST OPTION)- 12:30-hour Tour approximately. 08:00 am. We pick you up at your hotel to travel to Santiago Tuxtla, where we will meet one of the largest Olmec heads of the state, after that we will travel to San Andrés Tuxtla to visit the "Santa Clara" cigar factory where we will take a tour to know the process step by step of the elaboration of the pure 100% handmade. 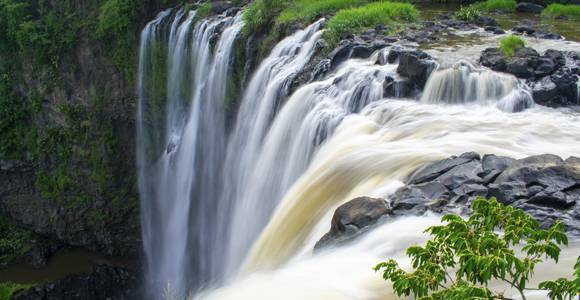 Afterwards, we will travel to Eyipantla, where we find "El Salto de Eyipantla", a spectacular waterfall with more than 50 meters high and 40 meters wide, in this Biosphere Reserve of the Tuxtlas, you can have direct contact with nature while descending the staircase of 244 steps where Eyipantla waterfalls we are pretty sure that you will be amazed by the magnitude of it, appearing among mulatto trees and Fauna. At the end, we will visit Catemaco, a town next to the magnificent enchanted lagoon, place of shamans, sorcerers and healers, in this place you will enjoy a boat ride along the lagoon, visiting the island of monkeys, spider monkeys and other islets, after the tour you could taste traditional dishes catemaqueños in a restaurant on the side of the lagoon. (NOT INCLUDED FOOD). 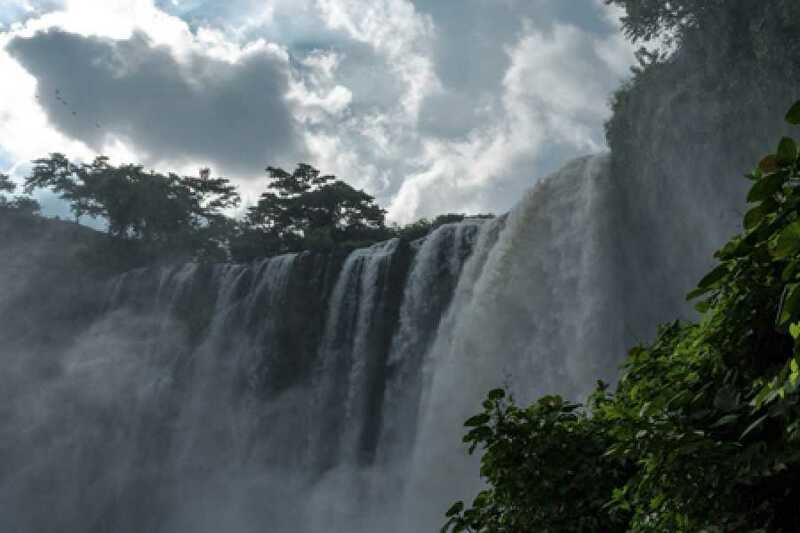 Visit the greatest Cabeza Olmeca in the Region. 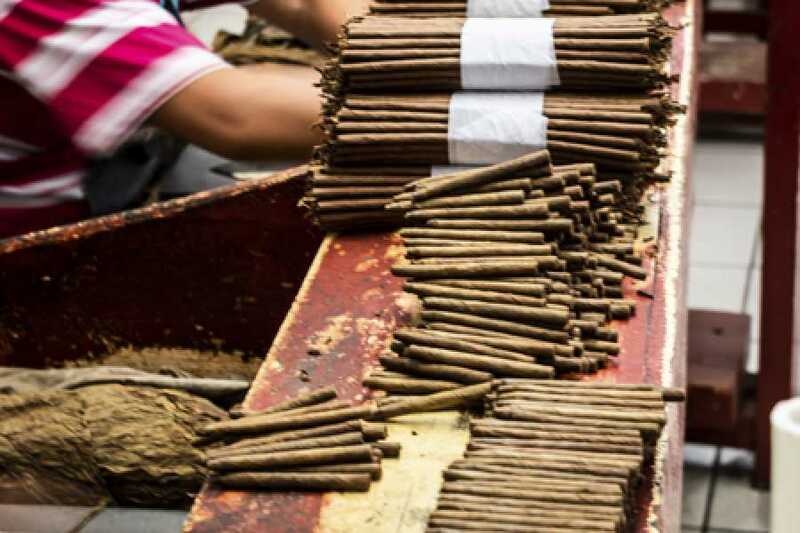 Cigars manufacturer in Santiago Tuxtla. 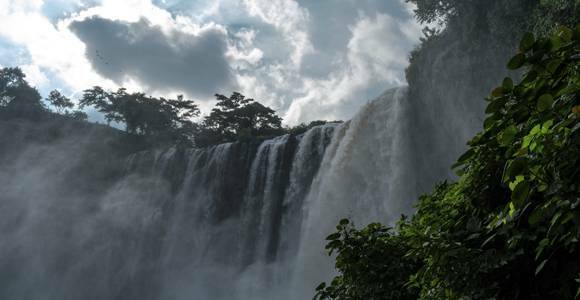 A wonderful landscape at Salto de Eyipantla. 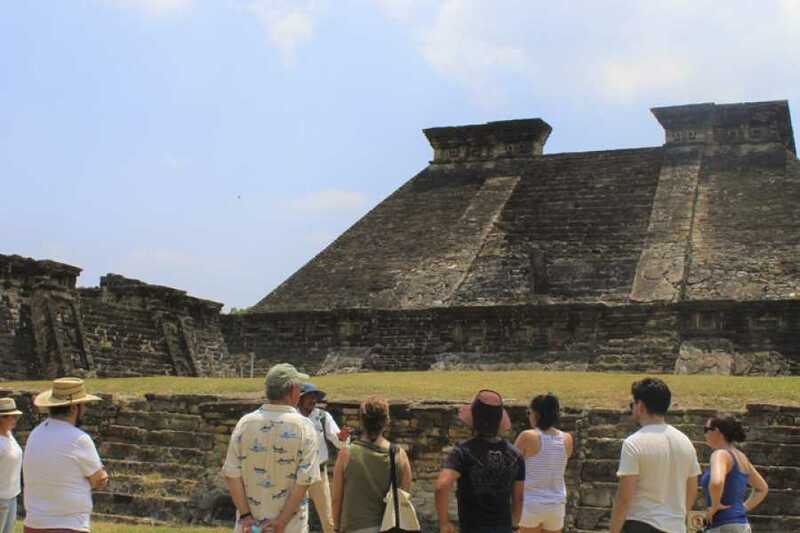 Day 02 Friday - Tajín and Papantla tour (SECOND OPTION)- 12:30-hour Tour approximately. 08:00 am. We pick you up at your hotel and move towards to a beautiful place that is consider as a magical town its name is Papantla, where one of the most important Totonaca archaeological sites is located. You could admire archaeological remains and the famous "Piramide de los nichos". 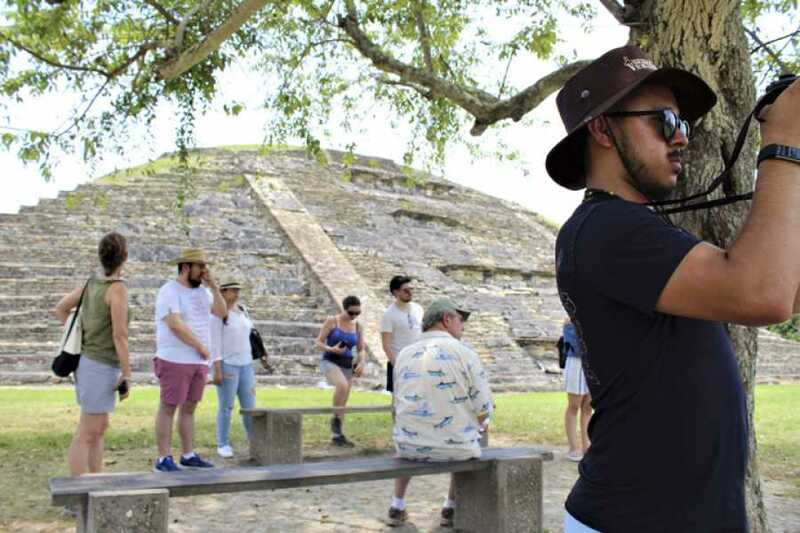 You will take the tour accompanied by a certified guide who will explain the whole history and admiring murals on the pyramids, ball courts and altars. At the end, you could visit the Tajin Museum by your own, that shows pieces found in the area. 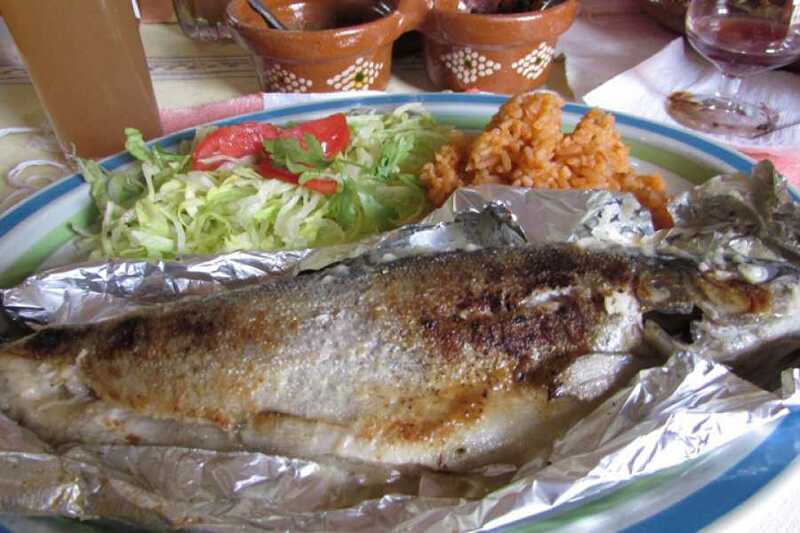 After this, you will have a time out to taste the Totonac gastronomy in a typical Papantla restaurant, where you could taste delicious bocoles or zacahuil (DOES NOT INCLUDE FOOD). Visit the archeological site “El Tajin” (ticket and tour guided included). 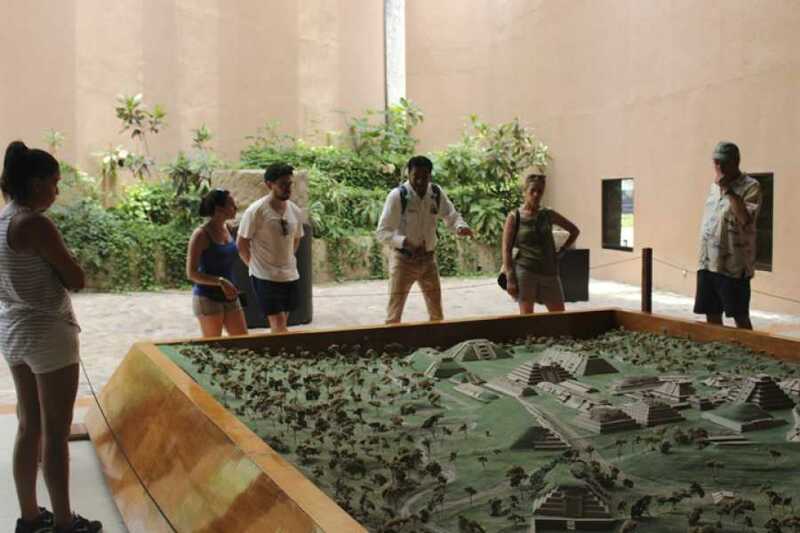 Visit the Museum of the archeological site. * Food and private NOT included. 07:00 am. 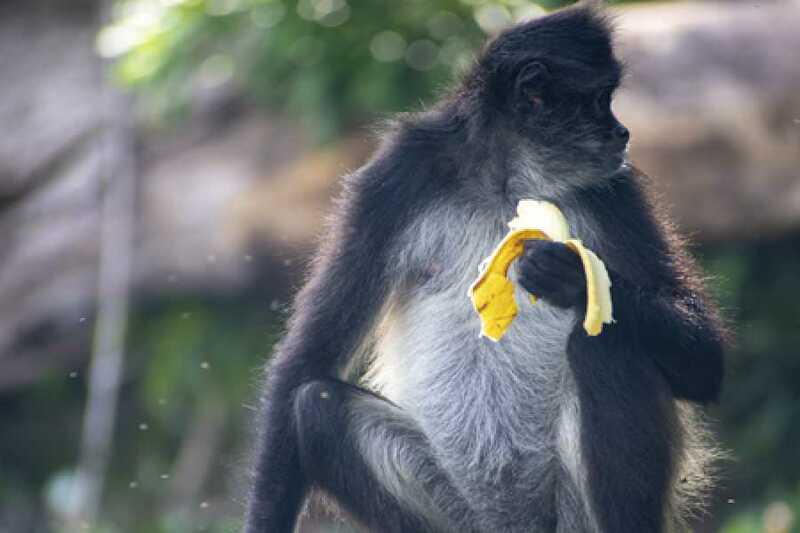 If this was your option, we’ll pick up at the hotel to travel to Jalcomulco, which is located near to Xalapa and it is 1:40 hour far away from Veracruz. 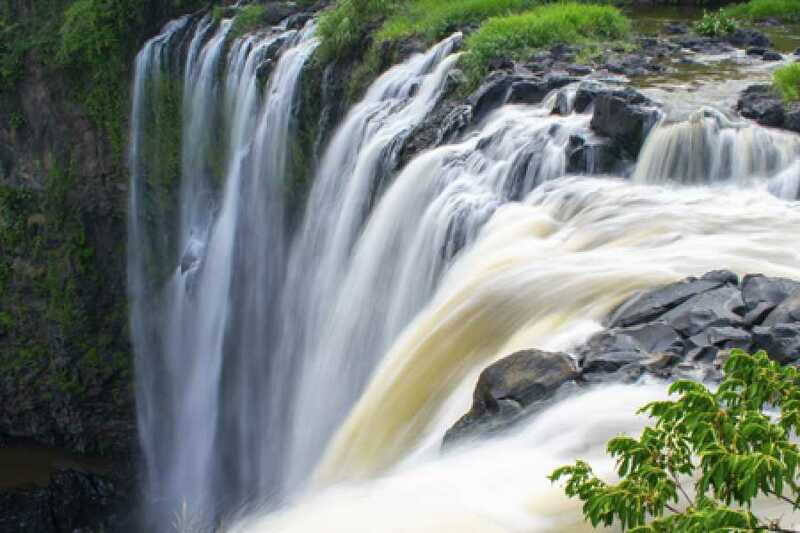 Upon your arrival, a guide will give you the necessary safety explanation to be able to make the rafting and then they will take you to the river aboard on a Jeep to do the rafting. 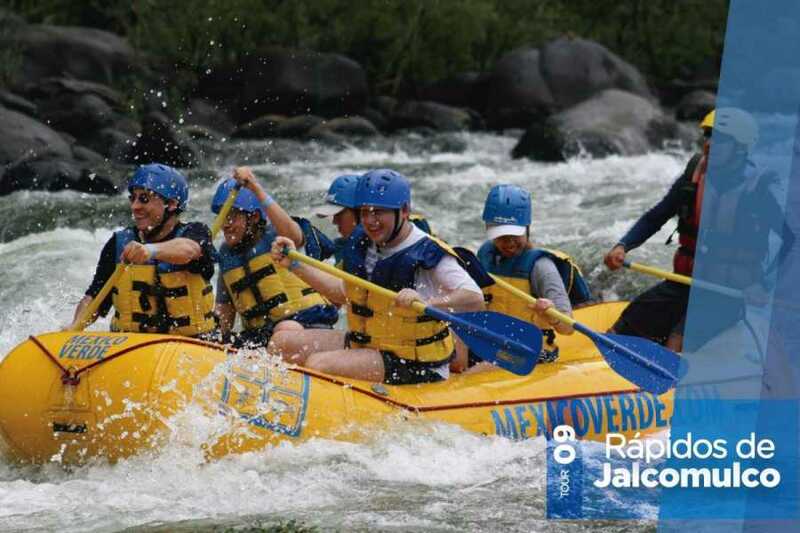 For two hours you will be filled with adrenaline rushing the river rapids on a raft. At the end of the tour we’ll go back to the camp, to taste a delicious buffet and then you can relax in the pool and pool area. Pick up at your hotell. Day 03 Saturday (Optional) – Vida nocturna en Veracruz. 10:30 pm. 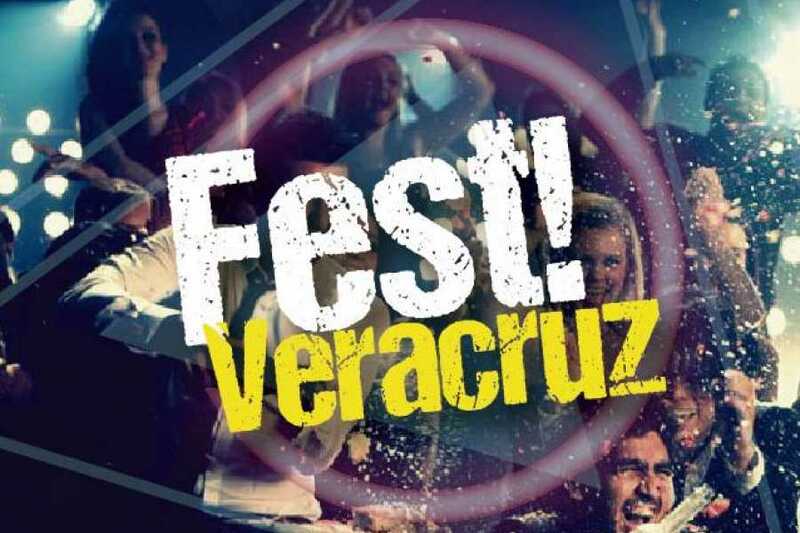 You can not leave the city without enjoying the clubs of Veracruz. This night you will have fun you will be able to dance and enjoy the best music in one of the most popular club in this place. We will pick you up at your hotel to take you to that club where you will have a free bar until 4 in the morning. * Transfer from club-hotel NOT included. Día 04 Sunday – 5 atractivos en Veracruz - 9-hour approximately. 10:00 am. 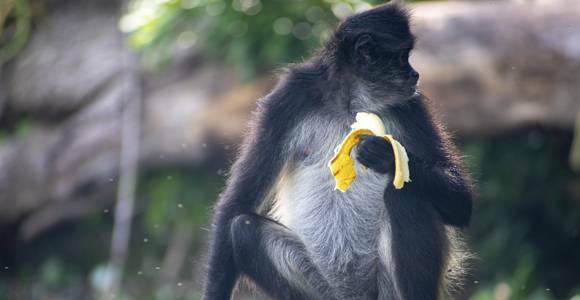 This day you will know the main attractions of the city. 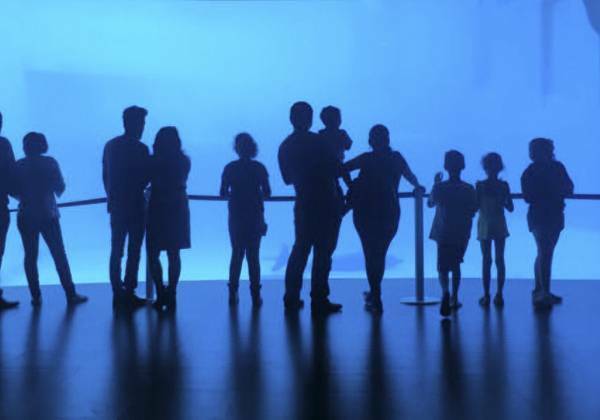 The first point is the Aquarium of Veracruz, where you will enjoy 9 representative areas of the fauna of the State: The Tuxtlas forest, fresh wáter tank, salt water tank, reef tank, shark tank, manatee tank, fish tank, jellyfish tank, Museum and the dolphin tank. At the end of the tour, we will visit the San Juan de Ulúa fortress, it is a coral reef with more than 500 years old, the Fort has been transformed into a museum that allows visitors to discover the history of the State and the importance of its construction, you will know the legends that developed between its walls, such as Chucho "El Roto" and "Mulata de Córdoba". All of this accompanied by a certified guide. In addition, you will have the opportunity to taste the traditional gastronomy in the region, Mandinga, is a place you do not allow to avoid in Veracruz, is a charming village surrounded by mangroves and you could know la Isla de las Conchitas, Isla de las Garzas and el callejón del beso while you are taking a boat trip, at the end, we will make a stop in a typical restaurant of Mandinga, where you will enjoy rich dishes based on seafood and fish. (DOES NOT INCLUDE FOOD). 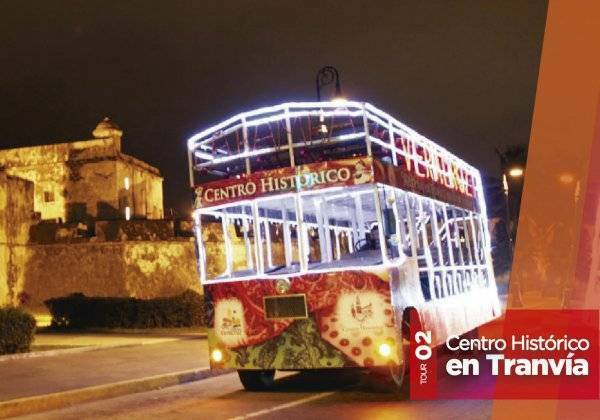 To finish, we will take you to know the emblematic places around el centro histórico de veracruz, aboard on a traditional tramway, this will be one of the best experiences that you will never forget about the port. Ticket to Acuario de Veracruz. Time out in a Mandinga´s restaurant. Centro histórico tour on a tramway. 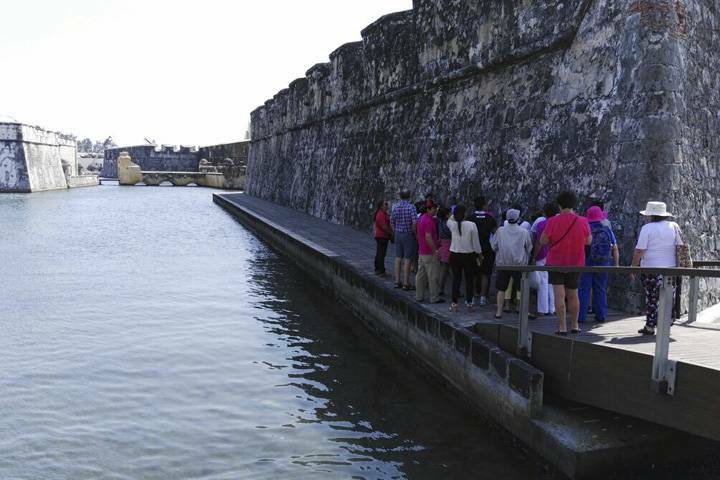 *This tour includes: round trip departing from Plaza Acuario, tickets and tour guides. 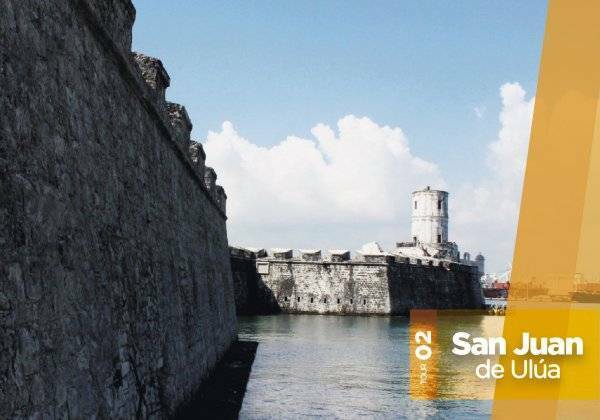 **San Juan de Úlua tour is available from Tuesday to Sunday. **To change your tickets you must go at Tours & Tickets office, inside Plaza Acuario, Local 45-C, does not include Pick Up at your hotel. DIA 05 Monday – Free day and check out. You have the day totally free, if your are looking for an activity to enjoy your last day in Veracruz we recommend you the guided visit around Palacio Municipal, in addition to danzón classes and concerts in the Zócalo or if you are looking for something else in another part of Veracruz, we recommend you to check our tours on www.toursytickets.com. (EXTRA ACTIVITIES ARE NOT INCLUDED). 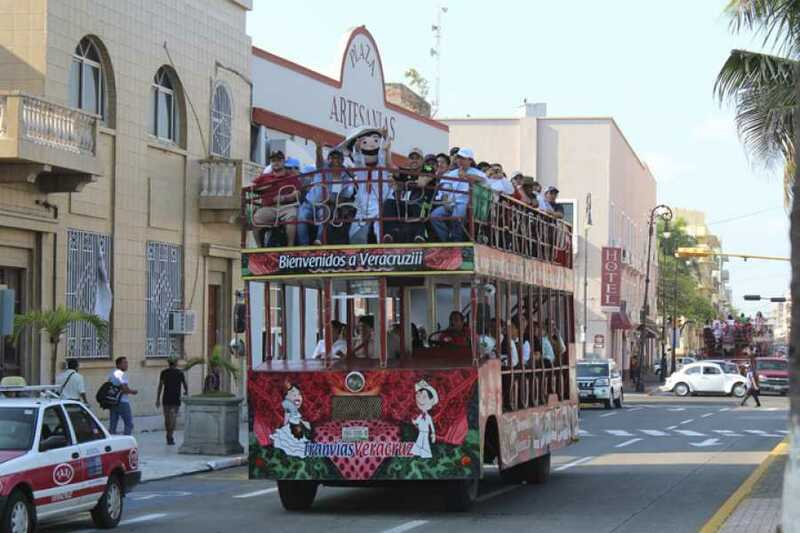 Tour a San Juan Úlua. *Disponible de martes a domingo. Paseo en lancha en Mandinga. Tiempo de espera en restaurante en Mandinga. Guías locales profesionales en sus visitas. Entradas a los museos y sitios mencionados. 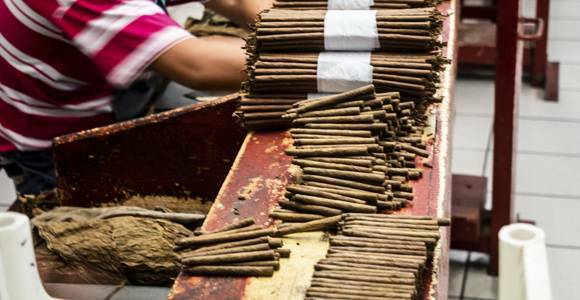 Tour a Catemaco o Tajín. 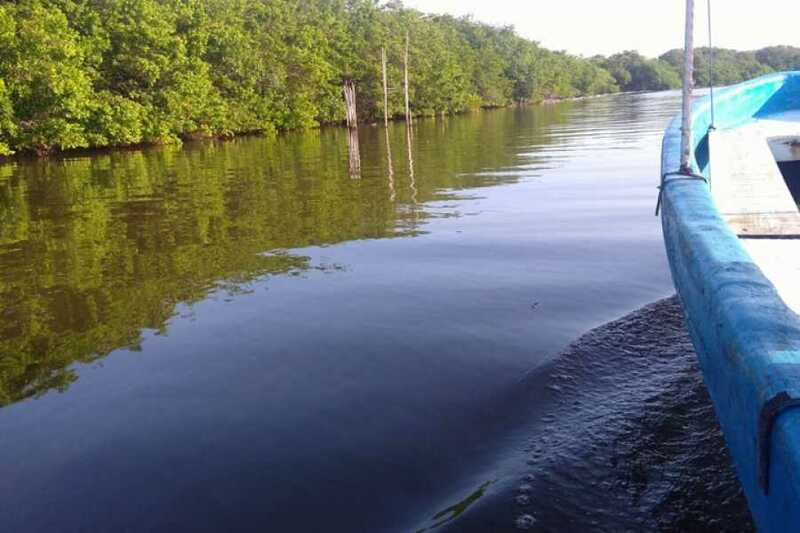 Tour a los rápidos en Jalcomulco o Buceo en Veracruz. San Juan Úlua tour. *Available from Tuesday to sunday. Time out in a Mandinga’s restaurant. Profesional tour guide in your visits. Tickets to museums and sites mentioned. 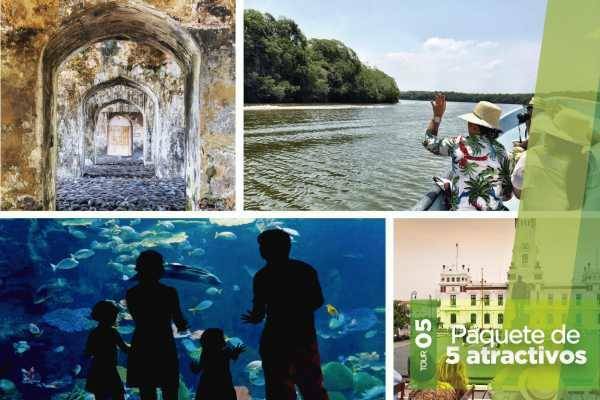 Los rápidos en Jalcomulco or buceo en Veracruz tour.